5 Tips for Recess SUCCESS! It’s that time of year again–August recess! Congress has adjourned for the month of August and will not be back in session until September 9. During their month-long recess, many Members take the opportunity to re-engage with their community and the constituents they serve. 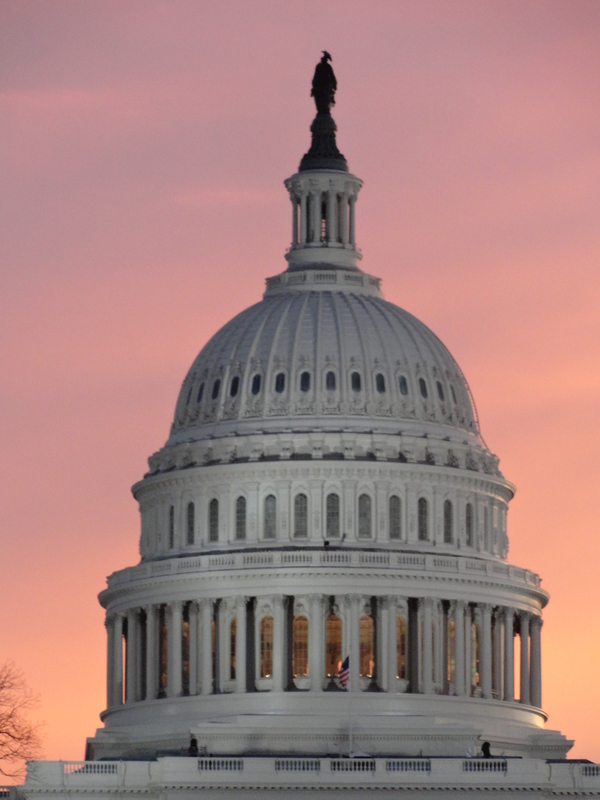 This is a perfect opportunity for you to foster and cultivate those very important relationships with your Senators and Representative, as well as their key staff. You want them to know who you are and what issues you care about –early learning, child care, resource and referral services, etc., and how those issues are affecting your local community and your state. 1. Schedule a visit/meeting. Go to our congressional directory to look up the contact information for your Member’s district office(s). Call the office or send an email requesting a meeting, and be sure to briefly mention the purpose of the meeting. 2. Do your research before your meeting. You can make the most of your meeting time by being prepared and knowing your audience. Learn about your Member of Congress: is she/he a Democrat or a Republican? Is your Member on Facebook or Twitter? What committees is she/he on? Do those committees work on child care issues? You should also know whether the Member supports an increased investment in child care and early learning (and has voted accordingly). Visit the Core Issues page to get background on the issues. 3. Invite your elected officials to your child care program. Reach out to district staff or ask during a meeting with staff or your Member if they would like to visit your child care program: if you’re representing a child care resource and referral agency, you may have a recommendation of a place to visit. This is a great way for Members to connect what you do with what children need, and why investments in child care and early learning programs are so important. Members and their staff get a firsthand look at why quality child care is a necessity for any thriving community. 4. Attend scheduled town halls. Another great way to engage with your elected officials during recess is to attend a town hall meeting (or two!). Check your policymaker’s website to find out the date and location of any upcoming town hall meetings. In preparation for the meeting, write down–at most–two questions: you will not have a lot of time so make sure your questions are specific and straight to the point. Read our town hall tips sheet for more information. 5. Follow up. If you were able to get a meeting, attend a town hall, and/or host a Member at your early learning program, send a thank you note to your Member and their staff. Thank them for taking the time out to meet with you/have the town hall meeting/visit your program, and gently remind them why they should continue to support child care. Be sure to follow up on any requests you made at the meeting as well as any information they may have asked for. A few words of appreciation will have a lasting impact on your relationship with your elected officials and your long term advocacy efforts. Good luck and keep us posted on how your recess efforts are going. Let us know how we can help. We have plenty of one pagers, background information and talking points to help you with your recess SUCCESS! This past week, Child Care Aware of America bid farewell to our two 2013 Summer Policy Interns, Lester Asamoah and Audrey Williams. Lester and Audrey spent the past eight weeks working closely with our Policy team on a variety of issues and topics, while taking part in courses offered at George Mason University. In addition to learning more about the importance of quality child care in early childhood development, Lester and Audrey took part in visits to Congressional offices, coalition meetings, and conducted research on legislative topics. Lester is from the University of Oklahoma and is majoring in International Security and Arabic. He came to DC to take part in The Fund for American Studies’ Institute on Comparative Political and Economic Systems. He has an interest in American politics, national security, Middle Eastern culture, Arabic, and global affairs. 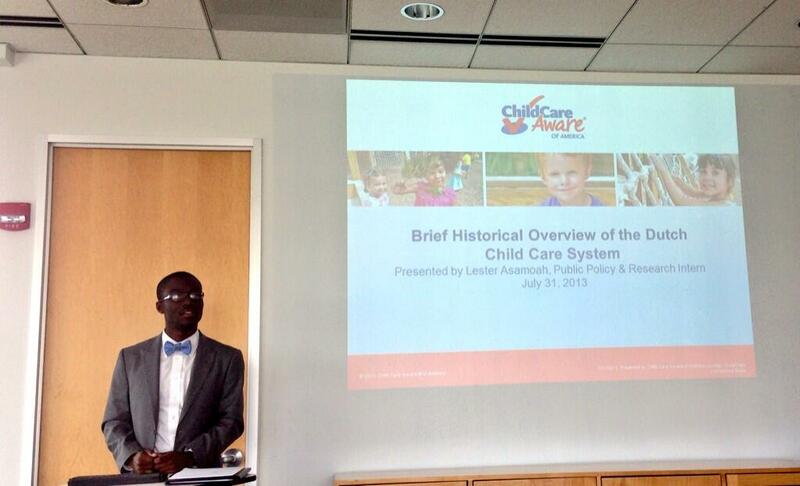 On Thursday, Lester presented about the Dutch child care system. It was a brief historical perspective, including some discussion of the quality of Dutch child care from 1995-2005. Audrey is a rising senior from Taylor University and is double majoring in Political Science and International Studies with a concentration in Peace, Reconciliation and Justice and a minor in History. She came to DC to take part in The Fund for American Studies’ Institute for Business and Government Affairs and has an interest in pursuing a law degree when she completes her undergraduate studies in December. As part of her internship in the Policy Department at Child Care Aware of America, Audrey presented a research analysis on early childhood development in South Africa and how it relates to further developing the county. Child Care Aware of America has an interest in understanding the policy and function of child care internationally, so Audrey’s presentation helped the organization identify the current state of child care in South Africa, observe SA government spending related to early childhood development, note standards and concerns for child care in South Africa, as well as demonstrate the implementation of child care in various provinces within the country. On behalf of Child Care Aware of America’s Policy Department, we want to thank Lester and Audrey for their hard work over the course of the summer and wish them the best in their future endeavors. Earlier this week, members of the Child Care Aware® of America Policy Team jumped on a plane and went to Tampa for a one-day on-site Advocacy Training. They worked closely with the Children’s Forum in Tallahassee to put together a jam-packed agenda for each of the 60 attendees at the training. The morning started off bright and early with an ice-breaker session where each attendee went around stating their name, organization and the name and location of their elementary school. Everyone in the room was quickly flooded with memories of early learning and the opportunity to better the quality of early education for today’s children. Following the first session, the team jumped into the meaty information. There was a brief lay of the land presented by Phyllis Kalifeh of the Children’s Forum and Ted Granger from United Way. This was followed up by a presentation and conversation related to advocacy versus lobbying. Great discussion was had about where the line is drawn and how far organizations can go on the advocacy front. At 10am, Shannon Rudisill, Director, Office of Child Care called into the training and gave a real-time overview of the new HHS Proposed Rule. We then discussed the new CCDBG bill, the President’s Early Learning Agenda and how Florida can weigh in on each of these opportunities. The morning session wrapped up with a breakout where each team of 6-8 discussed current challenges, what they would do if they had a magic wand and what the reality looks like in the state of Florida. After the breakout groups posted their ideas on the wall, the team began working on state advocacy over lunch. While enjoying salads, each attendee learned about parent and child care provider engagement and how to build a state advocacy day in the state of Florida. The discussion then jumped into how crucial social media is in today’s advocacy world, inspiring many attendees to jump on Facebook and Twitter to learn more. The day then wrapped up with a final breakout and team presentation of each group’s roadmap for the future. Each attendee then went around the room sharing takeaways, bright ideas, next steps and new information learned from peers. One idea learned during the session was to always bring someone to a training with you as you never know who will attend and become an early childhood advocate. One attendee even brought the mayor’s wife! Overall, the day was full of information, resource sharing and network building. Everyone left the training with a renewed passion, ready to improve the quality of child care in the state of Florida. Read about our on-site training in Delaware here. “The African saying, that it takes a village to raise a child is true, but the thing we need to remember all the time is that we are that village, it’s not somebody else, each one of us are part of the village and we have to daily say, what I can do to contribute to this, what can I do to help somebody further the life of a child,” stated Alma Powell, Chair of the Board at America’s Promise Alliance, discussing the importance of the advocacy community taking action on early childhood policies. The first ever Rally4Babies took place on Monday, July 8th, sponsored by ZERO-TO-THREE, bringing together national leaders, celebrities, and citizens in support of early learning for babies and toddlers. 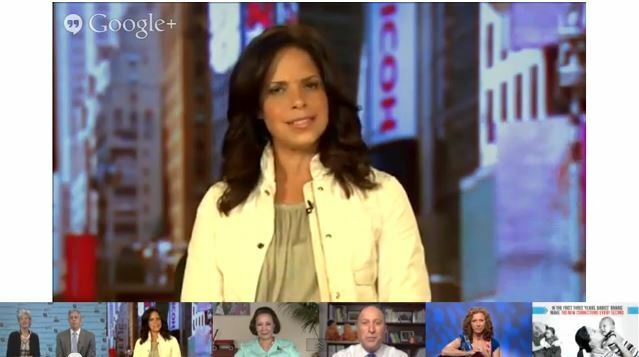 During the event, award-winning journalist and CEO of Starfish Media Group Soledad O’Brien asked questions to prominent speakers such as U.S. Department of Health and Human Services Secretary Kathleen Sebelius, U.S. Secretary of Education Arne Duncan, and Chair of the Board at America’s Promise Alliance Alma Powell about why early learning for infants and toddlers is critical. Jennifer Garner, Actress and Save the Children Artist Ambassador, shared stories about why she is passionate about teaching moms how to support their babies’ early learning. Finally, award-winning children’s musician Laurie Berkner did a live performance for rally participants. In case you missed it, watch a YouTube recording of the rally and share the event with your friends and family. The focus of the Rally4Babies was to emphasize the importance of a comprehensive early learning strategy and to rally Americans around early learning policies that focus specifically on babies and toddlers. More than 6 million children younger than age 3 are in the care of someone other than their parents every week. On average, children are in a child care setting for about 35 hours a week. Forty-six percent of infants and toddlers under age 3 live in low-income families, and 24 percent live in poor families. In 2010, 16.5 percent of infants and 24.2 percent of toddlers of employed mothers were in care in an organized facility (such as a child care center) and another 16.9 percent of infants and 16.3 percent of toddlers of employed mothers were in family child care homes. Currently, the Child Care and Development Block Grant (CCDBG), the law that allocates funds to states for child care, does not provide states with any guidance on how those funds are to be used to improve the quality of infant and toddler care. To ensure that children are in settings that are safe and promote healthy development, Child Care Aware® of America recommends that states are provided the flexibility of choosing from several effective options to improve program quality and to strengthen the workforce for infants and toddlers, including establishing statewide networks of family child care providers and infant and toddler specialists, as well as establishing other statewide initiatives. It’s time to take action to ensure that we, as the village, are doing what’s right for infants and toddlers nationwide. Take time to Sign the Petition and Send a Letter to Your Elected Officials urging them to Cosponsor S. 1086, a bill to reauthorize CCDBG. Also, makes sure you check out our Executive Director’s blogpost on the Rally4Babies, which can be found here. Each week, nearly 11 million children under age 5 are in some type of child care setting for an average of 35 hours. It’s a statistic that gets mentioned often in conversations about the importance of child care in every community across the United States, and with good reason. Working families understand the need to not only have their children in a child care setting that will keep them safe and out of harm’s way, but also to ensure that in the years where the most critical development occurs that they are in a setting that promotes early learning. With so many families looking for safe, but affordable child care, one thing is certain; Families need effective and efficient policies that work for working families. The good news is that Washington is paying attention. In mid-February, in front of classrooms of pre-school children, the President announced a plan that would create public pre-k programs in every state, or help support the 39 states that already have pre-k programs. In May, the Department of Health and Human Services released a proposed rule that would positively impact the quality of children in all child care settings, including special focus on health and safety measures. 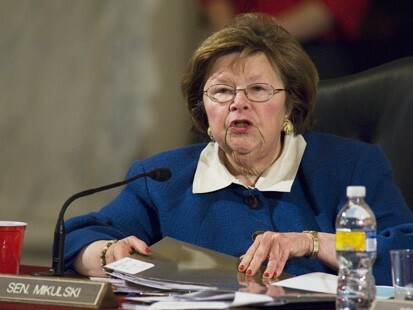 And just this week, Senator Barbara Mikulski (D-MD), Senator Richard Burr (R-NC), Senator Tom Harkin (D-IA), and Senator Lamar Alexander (R-TN) introduced legislation to reauthorize the Child Care and Development Block Grant, the primary federal grant program that provides child care assistance for families and funds child care quality initiative, with enhanced health and safety standards to keep children safe in child care. For more information on the President’s Early Learning Proposal, click here. For more information on the HHS Proposed Rule, click here. 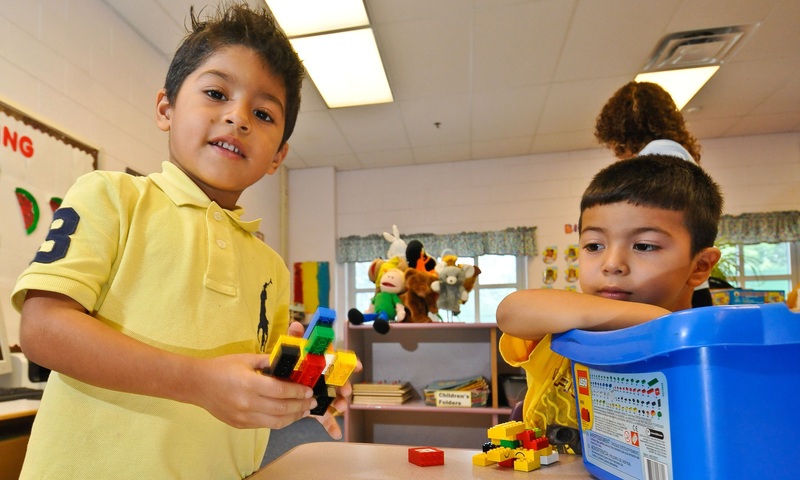 For more information on the Child Care and Development Block Grant Act of 2013, click here. When Congress and the Administration are taking notice of the need for quality programs for children, from birth through age five, and taking action to make policies work better for the families that need them most, it’s important to make sure that we are supportive of all policies that work to support working families. Whether those policies create and expand public pre-k programs, or assist in the development and expansion of partnerships between child care programs and Early Head Start programs, or require comprehensive background checks of all providers receiving federal funds to care for children, or even making it easier for parents to find and sort through information to learn more about the available options for quality child care in their area, the simple truth is that all of these policies benefit families and children. Today is the National Early Learning Day of Action and advocates across the country are talking about why it’s critical to invest in young children. Every child in every community across America deserves a fair shot at high quality and safe early learning opportunities that positively impact their development in the years when it’s most crucial. Working families are the foundation for the entire country. It’s time to make sure policies that work for working families, especially those that enhance their children’s early learning opportunities, are at the forefront of any policy discussion.